6:30 PM Custom harps: A well-playing harp is expressive and easy to control. My harps are tailored to work best with your breath. My harps are FUN to play! 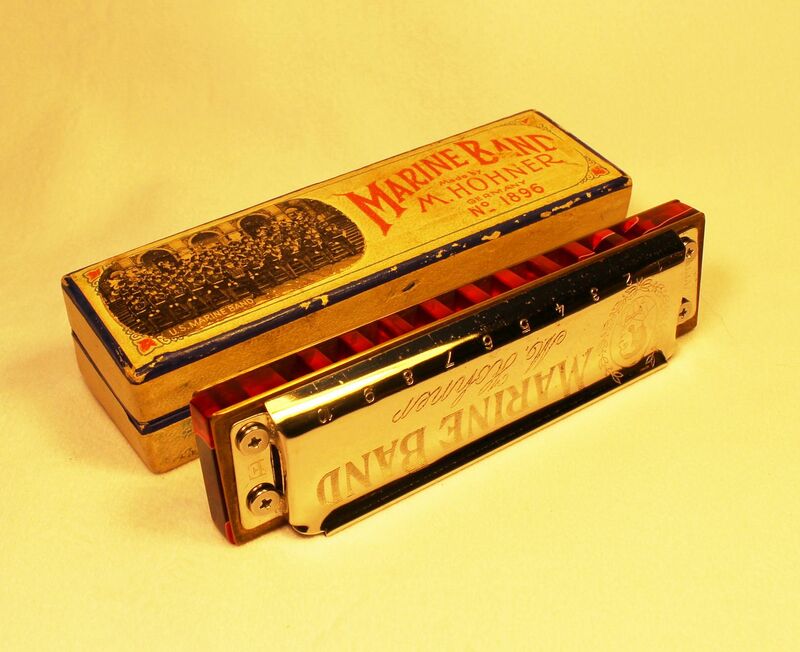 Tools: Tools for basic and advanced harmonica work. Increase dynamic range, get louder and richer tone. 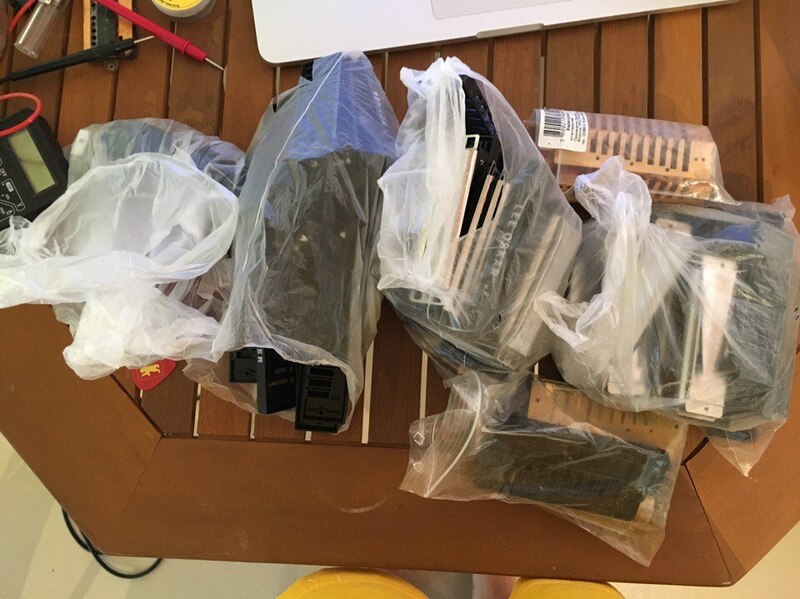 I offer the most complete harmonica tool kit on the market. Combs: Looking for that authentic fat, woody tone? Darken your harmonica with one of my combs. Custom overblow harps. 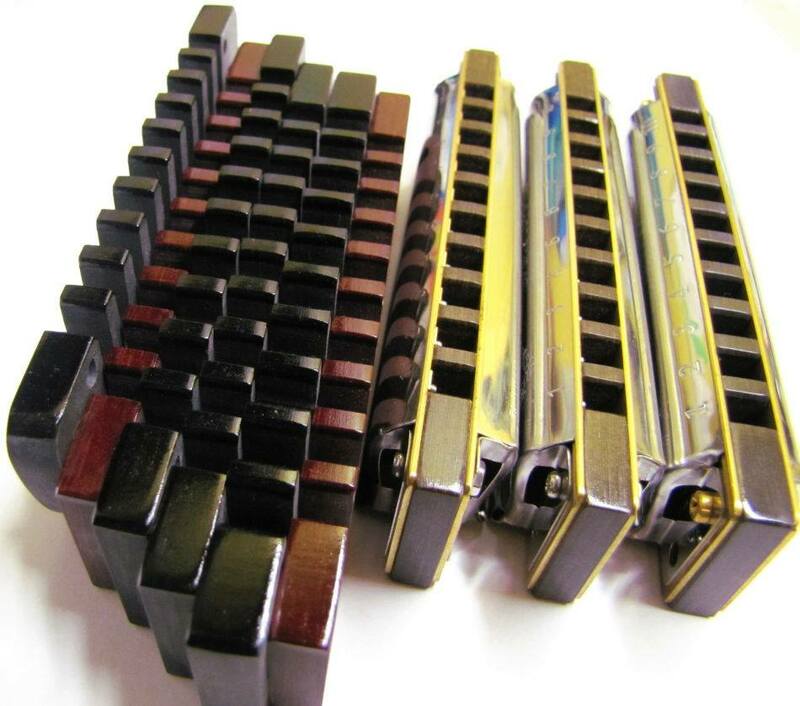 Harmonica Combs and Tools. 7:30 PM Added it to the FAQ page, so if you need to find the link for this thread it's saved there. 8:22 AM I just updated my website, www.harveyharp.com. Please check it out. Refurbished Double Reed Plate Special 20 in G, with full Thickness double reed plates. This was experimental, but plays so well, I decided to sell it $125. I just came across a couple of Brand New 2010 Low Tuned D Marine Bands, an E, and F and an F#, which are waiting for me to customize. Your choice with a Blue Moon Black Corian, or Fancy Acrylic Comb, $155. These will take about 30 to 45 days to customize. 8:43 PM Rick, for those of us that don't use FB, what are you selling? Open to offers and possible trades. 17.5" X 15" X 8" only 14 lbs. Authentic ciggy burns on the top! 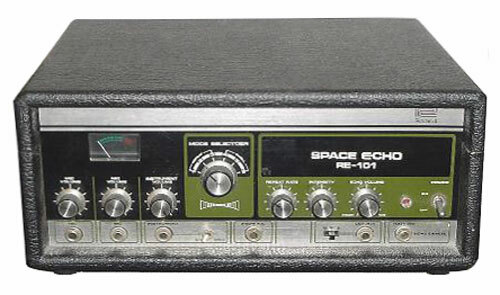 Roland RE-101 Analog Tape delay. NOTHING will ever come even close to this. If you want good sound, you need the real thing. 4:29 AM some of these photos need embossing! 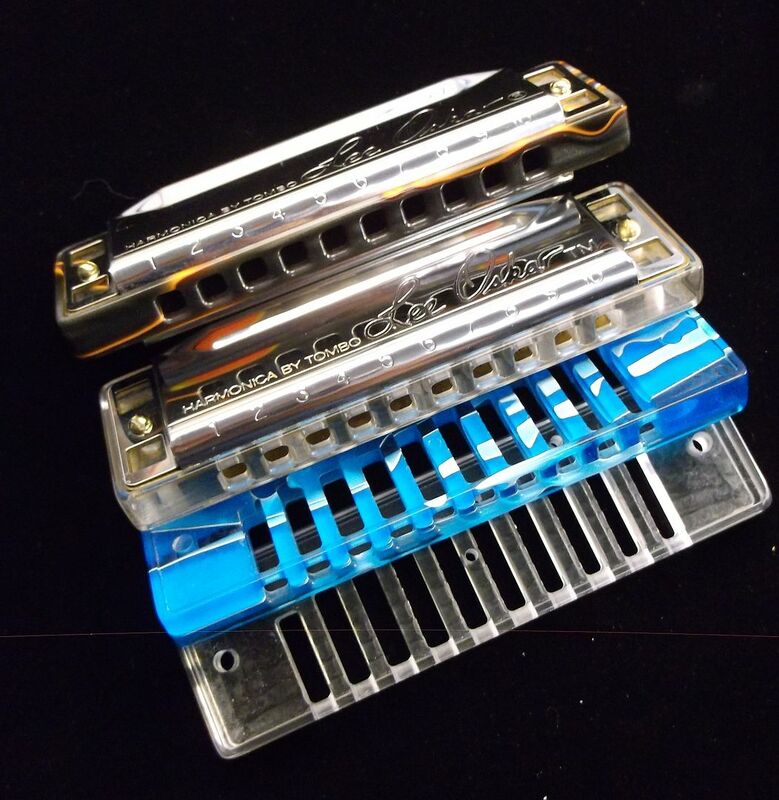 11:38 AM I am offering rock harmonica lessons live via Skype, or prerecorded (which has worked great for those wanting to play back the lessons) via MP3 or video. I hold three degrees in education and have several rock harmonica lectures on YouTube that cover some of the basics you can reference. I have previously taught at SPAH (2010 and 2012) and the Midwest Harmonica Workshop (2014 and slated for 2016). I also do both kid and adult group lessons through the Minnesota Blues in Schools program. If you are an event coordinator, I would be willing to do workshops as well! The only prerequisites are that you know the blues scale, can bend some, and play along to a twelve bar blues. If you are trying to tackle a tune for a jam or gig that is more rock than blues, it is totally cool to just do a one off lesson with me. As noted above, I have the ability to record a lesson that you can keep for future reference too. Email me with questions. Thanks. 6:35 PM Of course I always recommend Joe Spiers for custom harps but if you want one right now or want one from me done by me : I have some custom harps available for sale for the next week or so... They are all Suzuki Manji's The harp parts are provided through Tom Halchak and Blue Moon Harmonicas. The models are and will be only Suzuki Manji M-20's... I will be making two a day or as close to that as I can get (total 8 Maybe) mostly with Blue Moon combs and powder coated covers while they last. 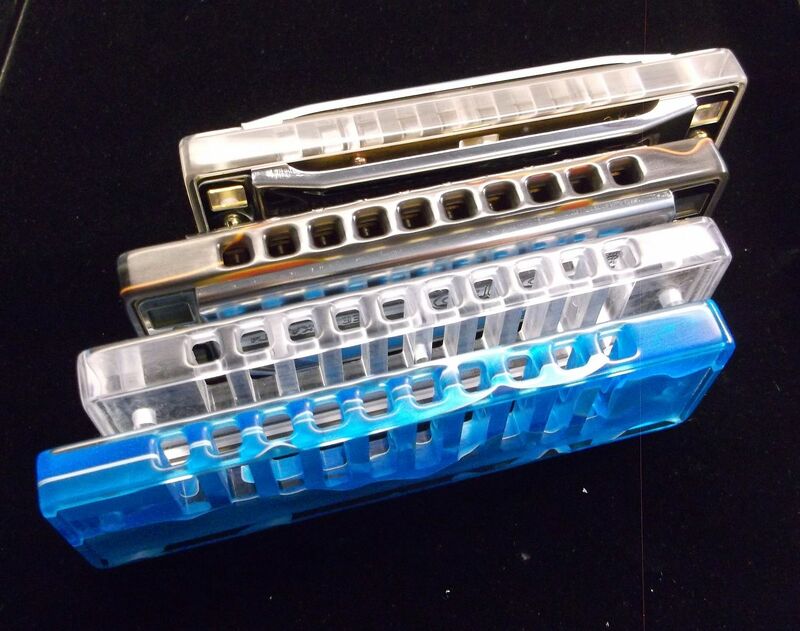 I have one ready now for sale (key of D Red covers Blue comb) and one I just sold... should have one or two more by tomorrow night...Draw reed plates sanded flat, all corners rounded even further than current Blue Moon or Suzuki specs ergonomically. Coverplates re-shaped, all reeds arced/shaped, gapped and reed slots are embossed. Over-blows easily and over-blow bends on holes 4,5,6, blow and overdraws on 7-9 draw. 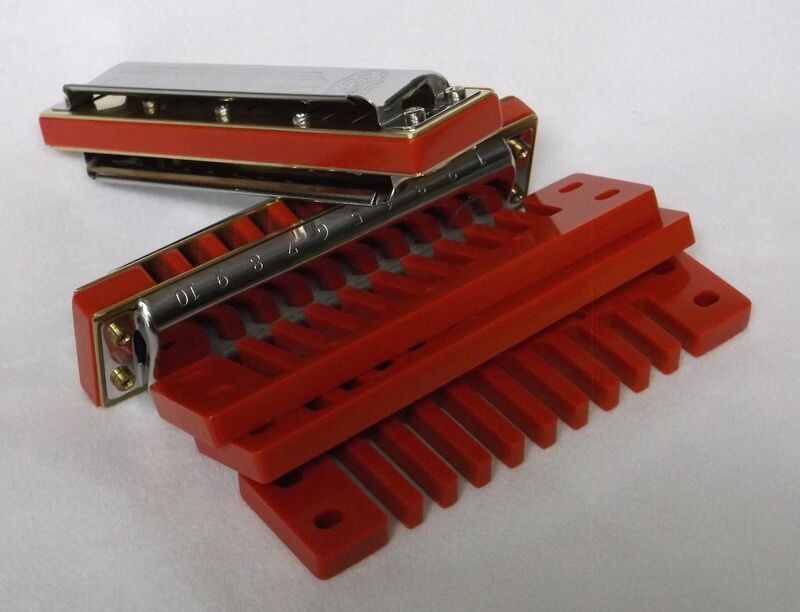 Harmonicas are new and are in current (factory) Suzuki tuning although the 7 and 9 hole draw have been sharpened a few cents for slightly more in tune unison playing (so a little MORE than compromised just). Harmonica/reed action is currently set up for over-blowing (tight) but can be readjusted for regular blues playing easily. 200.00$ USD paypal only (ship on Monday or next day after Monday), first come first serve email me at jasonricci1@gmail.com for pics or questions, I hate selling harmonicas. 5:46 PM LOW F CUSTOM GM WITH SEYDEL REEDPLATES. This is a Hetrick/Matthew Smart custom hybrid with GM covers and Seydel Low F reed plates. The covers are "dimpled" with 2 protrusions on the bottom left so the lowest 2 reeds don't rattle. I have a Blue Moon silver anodized custom aluminum comb on it, but it came with a red Hetrick dimonwood custom comb. Both combs are excellent and included with the harp. $100 plus shipping, ship to U.S. only. I got this hybrid as a back up to my Spiers Low F GM, but, honestly, I don't care for the Seydel plates. Nice hybrid, though. Harp and combs are in excellent condition and have had minimal use. I can email pictures, if you are interested. Contact me by email: hvyj at iCloud dot com. Payment via PayPal, but through a different email address. 1:35 PM I know that this announcement is going to excite some people more than others. Ever since I introduced the CNC Milled Recessed Combs for the Hohner Special 20 and the Seydel Session Steel I have had guys asking me, “Are you going to make custom combs for the Lee Oskars?” Well, I’m proud to say that on Tuesday, I picked up four prototype Lee Oskar combs from my machinist. 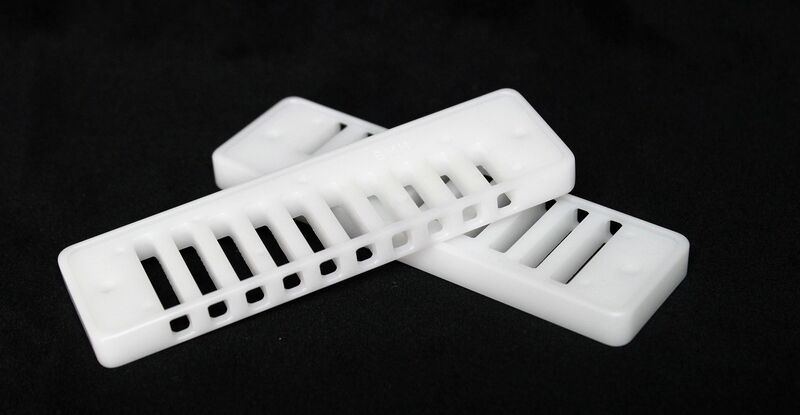 These combs are 3D designed can CNC Milled. They feature solid construction and a mouthpiece that is very similar, if not identical, to the Special 20, Session Steel and Suzuki HarpMaster combs I offer. The openings or holes are square shaped with radiused inside corners and radiused edges. “Radiused” simply means everything is rounded as opposed to “Chamfered” which would mean the corners or edges are cut at an angle. 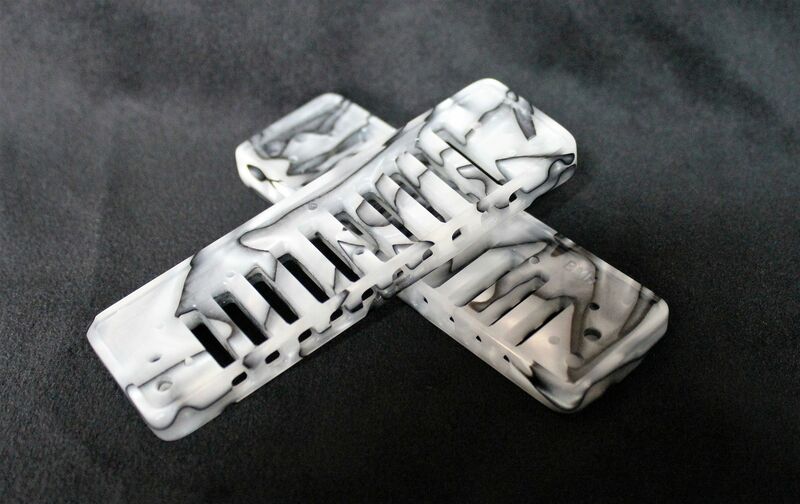 The rounded corners and edges make the mouthpiece very comfortable on your lips and tongue. These combs are wonderful for both lip pursers and tongue blockers alike. As soon as I got these prototypes I went home and built a harp. I put the reed plates through the usual paces – flat sand the draw plate, adjust the gaps, tuning – and it turned out to be a very nice harp. It’s a little squealy on the overblows but if you are a straight down the middle Chicago Blues guy, this harp has very nice tone and some grit to it. I’m going do something a little out of character. Usually when I launch a new product, I just make up a couple hundred combs and say, “Here they are – come and get ‘em!” But frankly, I’m not sure how big of a demand there is going to be for these combs. My reason for saying this is that I don’t hear an awful lot about people customizing the Lee Oskars. Maybe it’s because they are so good OOTB that you don’t have to! I dunno. 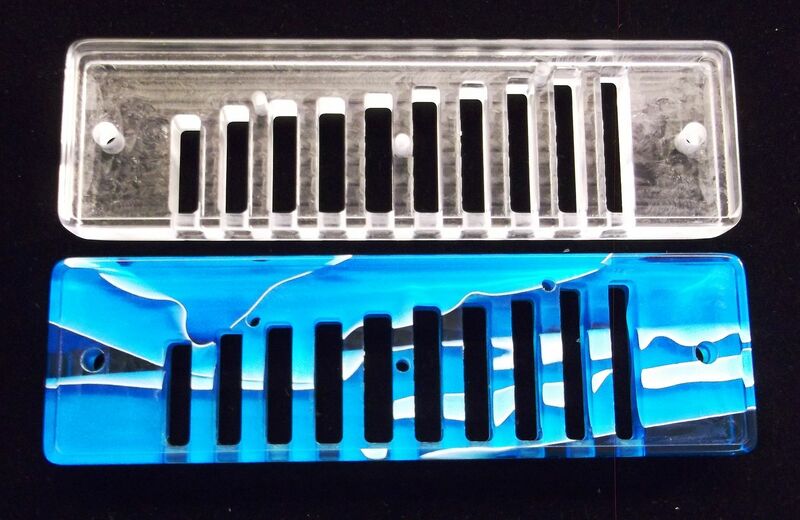 Anyway, those of you who know Blue Moon know that I make combs out of Corian, Acrylic, Aluminum, Brass and Hogany. Suffice to say, I can make the Lee Oskar combs out of any of these materials as well. I’d like to get some feedback from you. If you are Lee Oskar fan, please drop me a line and let me know what type of materials and colors you would like to see me make. I’m not asking for a deposit or up-front money. Just suggestions. There is no obligation on your part to actually buy the combs but I hope that none of you will offer frivolous suggestions. In a perfect world, if you request something it is because you have a genuine interest in making a purchase and assuming I make it, there is a good chance you will follow through – but again, this will not be construed as a commitment. I am merely trying to test the waters and get a feel for what you want. I will do my best to listen and accommodate you. 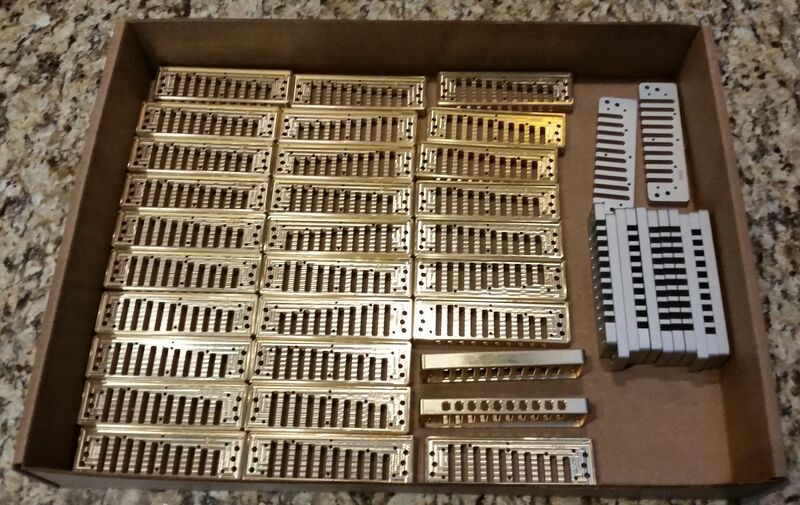 The prices will be the same as what I charge for the other recessed combs - $49.95 each for any materials except for brass combs, which are $64.95 each. Yes, they are expensive, but worth every penny! Lastly, I wouldn’t mind some feedback from real live Lee Oskar Devotees. If you are one, let me know and I might just send you one of the prototypes for testing and feedback. You are far more likely to get a freebie from me if you have done some business with me in the past than not. Just sayin’. I don't have the time to develop these sites, but a terrific opportunity for the enterprising individual. Selling all 3 domains as a package, not parting out. They are parked at godaddy and are due to be renewed this month. I have well over $300 invested in procurement and maintenance of these domains. There can be tremendous domain value depending on how you manage your content and seo. "You hear that cat...on the Harmonica?....That's the Canned Heat!" Offered is a very rare original Astatic model 30 with the original working crystal marked march of 1940, still putting out beautiful tone! 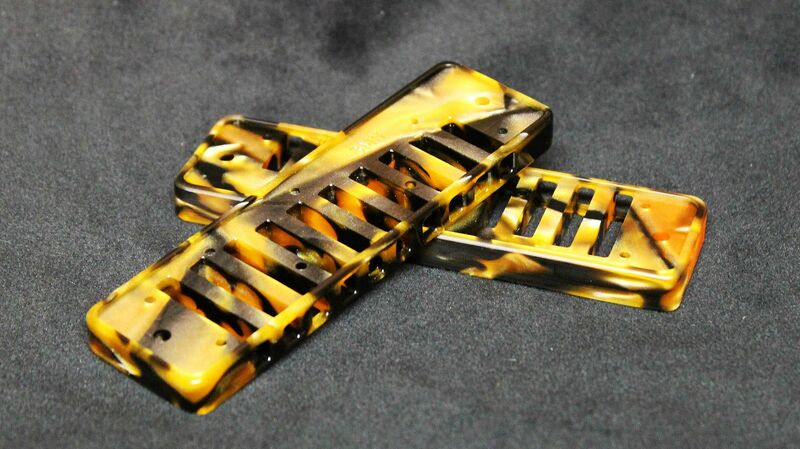 Amazing factory crinkle finish which won't slip in your harp hands!!! This mic was babied its entire life and you would be hard pressed to find noteworthy scratches anywhere on the mic or riveted Youngstown tag! This might be the nicest, most collectible jt-30 type I have ever seen. It is very rare to find a model 30 (made from 1940-42) that is crinkle gray with a chrome grill. Most were all brown, even the grill, and survivors are often very scratched and the crystal elements long dead. The gray is a really cool tone which can look like a very light and pale brown or whitish gray, or dark grey all depending on the type of light it is in. This mic may have been made for the military. 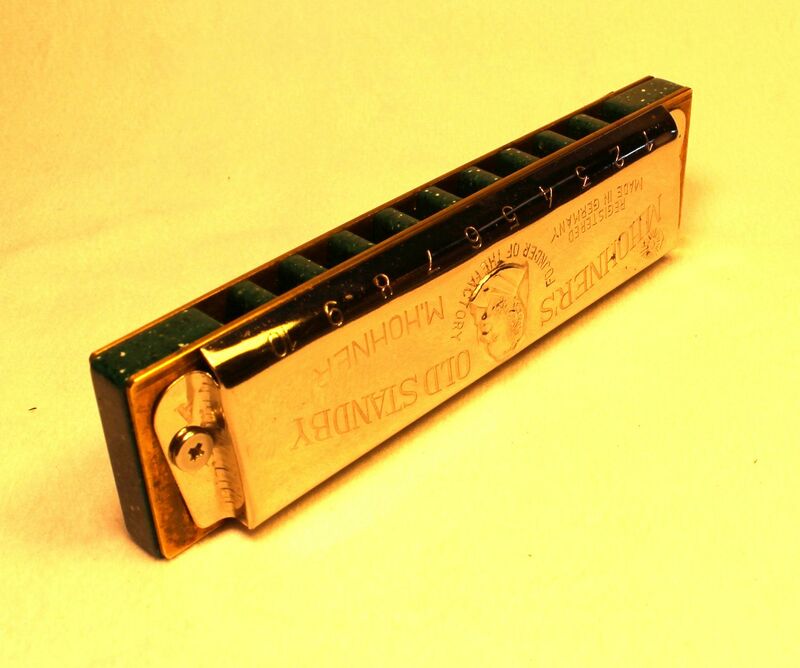 It was among the earliest of the original design, from the original Youngstown factory in Ohio, and they came with the famous Brushless crystal, long known in the harp community for great tone. This is about the extent of my research. The stand is not included. The only non original item is the 1/4 inch input for a harp amp. I have the original 2 prong if u want it. The crystal has lost some of its heat, but it is nothing short of a miracle it survived these 75+yrs! The lower heat worked in my favor because most crystals are too hot for my harp amp and cause serious feedback, but not this one. I was able to turn the volume way up into overdrive, and the tone was still smooth, rich and crisp. But the real value here is in the shell, and you may never find a nicer, more pedigree collector one than this. It will long outlast any and all crystal elements, and is one of the easiest shells to get quality replacement elements for. So if you want a really exceptional harp mic, invest in the best. YOU MAY NEVER SEE A NICER PRE WAR MODEL 30 IN THIS LIFETIME. MAKE AN OFFER. I am asking 249$ and you can email me for pix, but don’t delay, it will be going on ebay shortly, but wanted to give this list first chance. 12:13 PM I've got a like-new condition Lone Wolf Blues Company Harp Attack preamp pedal I just don't need anymore. Upgraded to a big 2x12 amp with a built in variac pretty much so I can overdrive that big boy easily without getting too loud. Love the pedal just don't need it anymore. Best offers sells it! 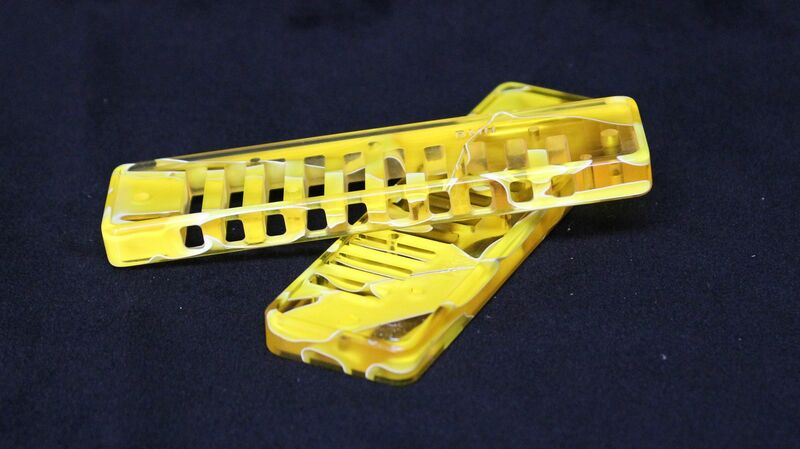 I will soon be introducing Hot Red DuPont™ Corian® Combs for all the models I make. I just picked up the first batch of Marine Band Combs yesterday. 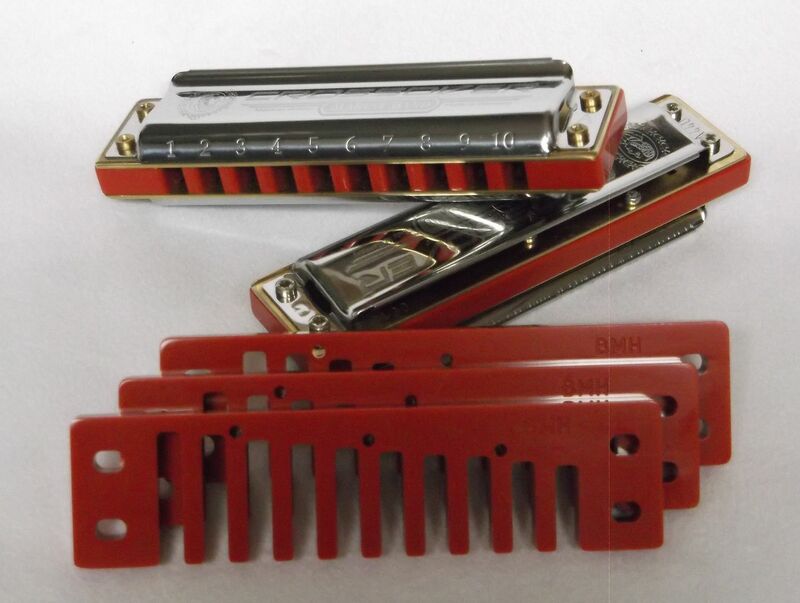 They are beautiful and as a Mother’s Day Special, I have two Marine Band Crossovers with Hot Red Corian Combs. One is in A and is tuned to the stock Crossover Tuning@ 442Hz. The other is a G tuned to Modern Compromise Temperament also @ 442Hz. I only have one of each. I will have more in the future but this is all I have right now. The combs can be purchase separately here for only $29.95 each. Make your Mother’s Day a great one. 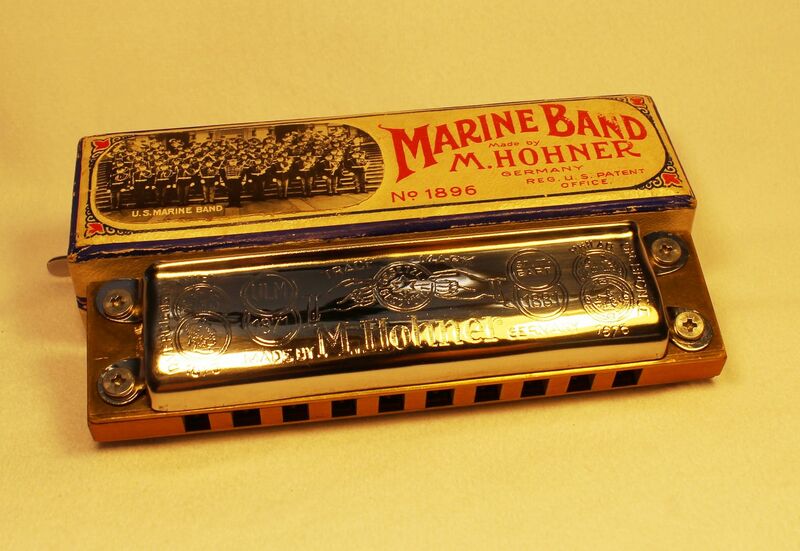 Buy yourself a harmonica! 4:40 PM Thanks for your business Goldbrick. Your harp is in the mail winging its way to South Florida - where I Will probably be later this week. I have two custom Marine Bands for sale. On the left is an A Marine Band built by Brad Harrison for Brandon Bailey (who I got it from). I replaced the 1 draw and cleaned it up. I also put it on the Hogany comb from Matt Smart in lieu of the dymonwood comb it came with. It over bends wonderfully, and the 7 overdraw is spectacular...full and in tune without ever choking. The 9 and 10 overdraw too. The other harp is a pre-war NOS key of C built by Joe Spiers. It is the best harp I've every played. It is articulate and aggressive. It over bends wonderfully! This is a rare gem built for me a few years back. It has low miles on it. I am also selling my bullet mic from Blowsmeaway. I've had it a few years and have gigged with it twice. I just never use it. I am a SM58 guy. I did send it back to him to have the Heumann element installed. It has the glossy finish, stealth volume control, and a 20ft custom cable. It also has my initials which also work for Mother Funker and the like. I am sure that could be replaced. I have a lot of money into this mic and am looking to get $375 for it. You can also click on any of these pictures to review a photo album. 7:43 AM I bought the perawood in C-who could resist? 8:33 AM Thanks Goldbrick. That is a great choice. That harp is like new and plays like butter. 9:26 AM Selling several lbs. 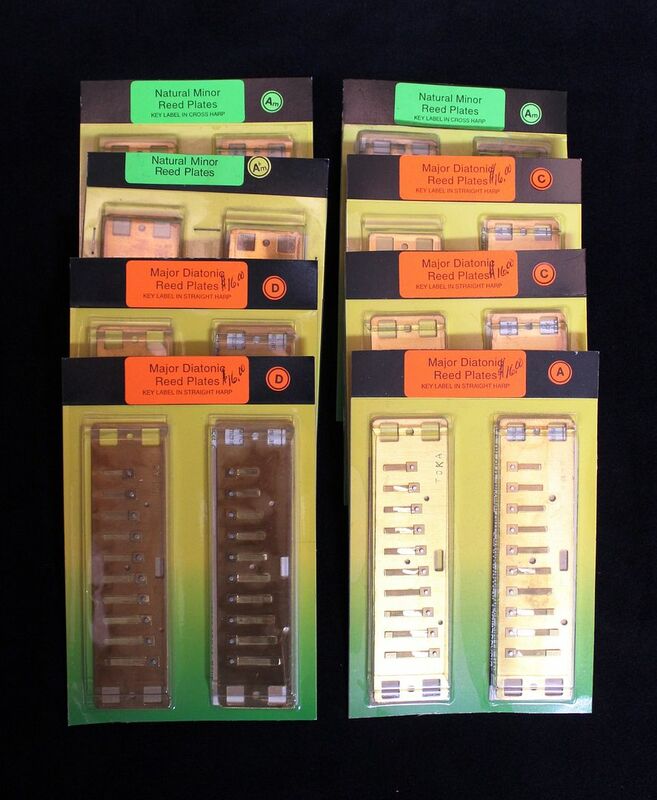 of harp parts: combs, covers, reedplates for various models - LO, Hohner, Hering. Will not search for matching pairs. Will not test anything. Some are new, some used, some broken. Will sell for $1/piece. Will only sell in bulk. It's really easier to put it all in one trash bag and dump it all in one hand movement than sell per reedplates, I hope you understand. 1:51 PM I’ve been offering Double Reed Plate Special 20 harmonicas for not quite two years. They have been very well received. It seems the comb of choice on these harps is Brass. I sold a bunch of them at SPAH and had orders for about ten more waiting for me when I got home. I had to put my machinist to work and have him make some more. So here’s a fresh batch and while you are at it you can enjoy a little demo by JD Taylor playing on his new toy. 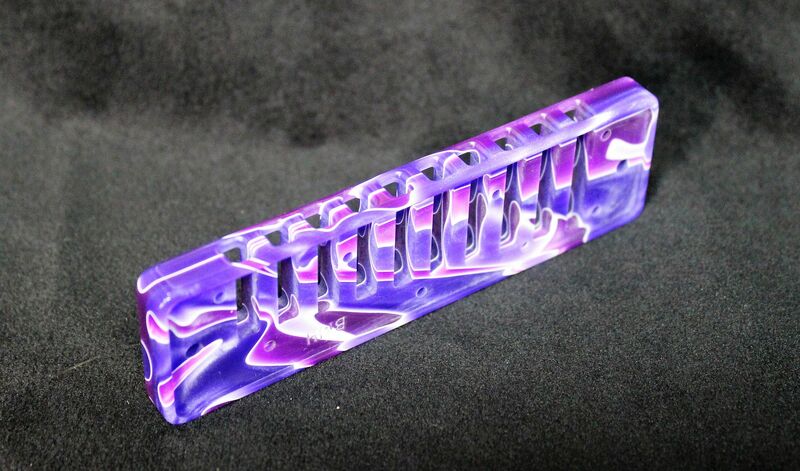 There are a few Clear Anodized Aluminum Manji Combs in there too. If you need an amp for harp, it solves a lot of problems to get an amp made for amplifying a harmonica. 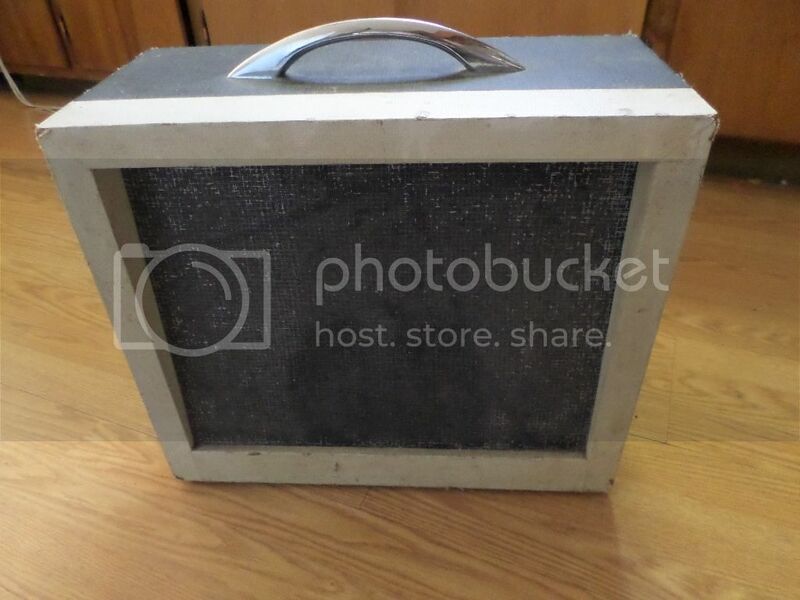 If you can’t afford a new boutique amp, you can buy this for almost half the cost of a new one. This HG50 410 is in excellent condition with no issues. 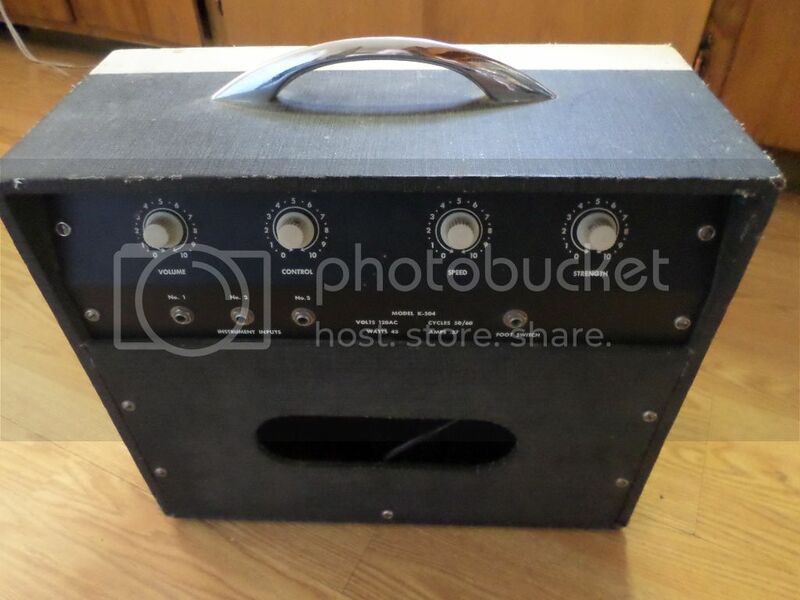 I have gigged with this amp at open air festival stages, auditoriums, nightclubs, and churches. It has never failed to impress me or any of the musicians I have played with. $1000.00 plus shipping to CONUS. Contact me at mckinney633 (at) gmail dot com if you are interested. For more info visit my Facebook page. 4:04 PM Joe yer killin' me. I'm so broke I can't pay attention. The rest of yez, this is a great deal. 8:44 PM I would do it but, well.... My good harps are fine, and the ones that need help are polly just too old and dinged up for you Joe. 11:33 AM I recently purchased the inventory of a local harp tech who lost his battle with cancer. RIP. He was very fond of the Hohner MS-Series Family of harmonicas so I wound up with more MS Blues Harps and MS Cross Harp Reed Plates than I know what to do with. 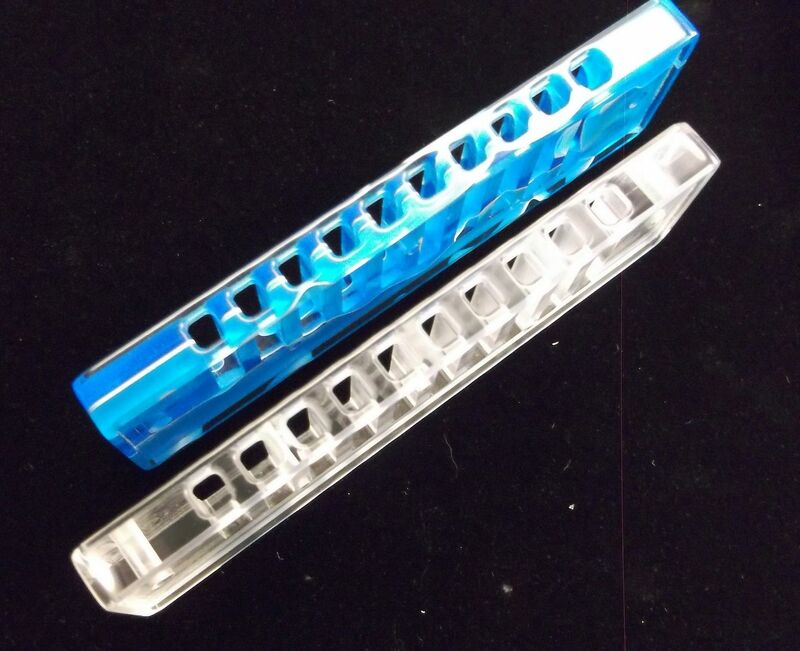 The Blues Harps are all new as are the Cross Harp Reed Plates. However, the Cross Harp reed plates might even be better than new. This harp tech liked to put his reed plates through a Thermal Cycling Process in which the plates are cooled to minus 300 Degrees F and then heated to plus 300 degrees F. The theory is that the process realigns the molecular structure of the metal making is stronger. I believe there is some truth to the concept but I am not making any claims about these reed plates. I am just describing what has been done to them. You can also purchase Blue Moon Custom Combs and Stock covers if you would like to build your own harp. 9:54 AM Everything is sold. I'm going to list them on my website for $8.00 each. My website will automatically add $5.95 shipping for domestic orders which would bump the total price up to $13.95. These retail on eBay for $15 - $20 - $28. I'm trying to offer them at roughly half price. These are new, in the factory packaging. If you are interested in more than one set just send me an email and I will give you a good deal. Here's the direct link to my website.